Robin Riebsomer is a member of Sacred Path UU church and serves on the worship team. 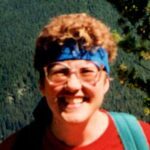 A 1981 Butler University graduate with an MA in Personality Theory and Religion, Robin has been working in substance use since 1992, most recently with the Indiana State Nurses Assistance Program. She began writing music in 1967 and published her popular composition “The Small Difference” in the year 2000.